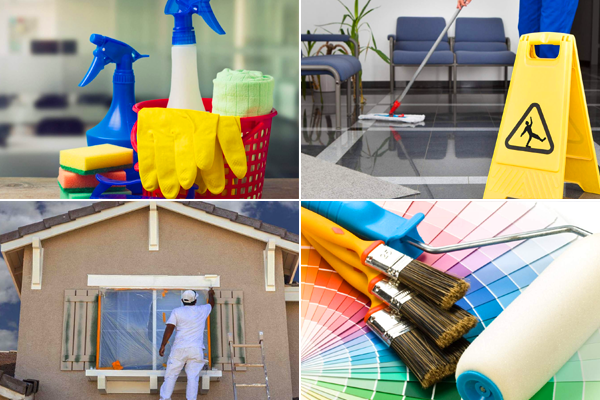 Anon Cleaning & Maintenance Services offers professional Cleaning & Painting Services. Annah Sasebola has opened Anon Cleaning & Maintenance Services after over 20 years working in the Cleaning Industry. Annah has had hands on experience through her 20 + year's in the industry and understands the ins and outs of what is required in both Residential and Commercial Cleaning. Annah has also acquired the services of highly skilled painters who have worked on several Residential projects over the years. Anon Cleaning & Maintenance is constantly looking for more efficient methods and expanding our knowledge of Cleaning and Maintenance. We want happy employees. We want an easy relationship with our clients. We want you and your employees to have pride in where you work. We are proud to provide an extensive list of Residential/ Commercial Cleaning and Residential Painting services. Our team are equiped with a vast amount of experience and expertise. Do you need any Residential or Commercial cleaning done? We have more then 20 years experience in the Residential and Commercial cleaning sector. You can be rest assured that our team are well equipped to handle your Residential or Commercial needs. - Once off deep cleaning. - Before or After Function cleaning. - Daily, Weekly or Monthly Maid services. - Carpet and Upholstery Cleaning Services. - Laundry and Ironing Services. - Grass Cutting and Weed Removal Services. We believe that a fresh coat of paint can do wonders for your home. Improve the look and feel of your whole house, or enhance your curb appeal with a modern new look with help from Anon Cleaning and Maintenance Services. Our team of expert and professional painters have been helping homeowners in Johannesburg get their homes to the standards they deserve. We provide fantastic residential painting services at affordable rates, with convenient scheduling and upfront pricing for a stress-free customer experience. Throughout the process, you’ll be connected with a project manager who will answer your questions and keep you updated on our progress.